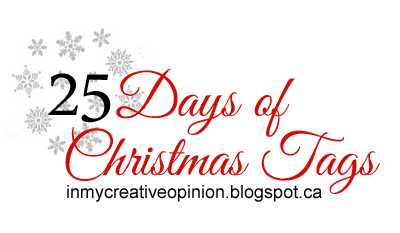 Thrilled today to have my friends at Muse: ChristmasVisions as a sponsor and my guest! 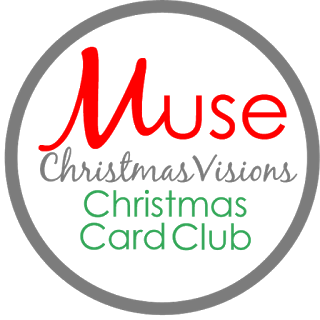 Muse Christmas Visions has the Hero Arts Coffee Cups Tags and Frame Cuts set for one lucky winner! So many choices... but today I'm opting for a classic silver and white snowflake tag as my inspiration. I like tags! I like holidays! And I like to participate in such Challenges!!! So much inspiration. I love both the cute images and the white wintry feel of some of the other tags. And I do love a good rainbow. Sending healing wishes to you, Tracey. Wow the design teams have out done themselves today!! this is going to be difficult to choose one. Tracey yours is gorgeous, love Lindsey's snowman. So many with snowflakes (love snowflakes) and the prize is fantastic. off to choose. These are gorgeous! LOVING all the snowflakes!!!!!!!!!!!!!! 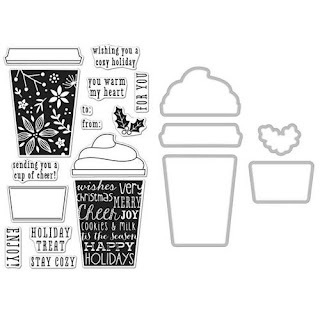 I've had my eye on that adorable coffee stamp set from Hero Arts! Love it! My favorite from today is the sweet bookmark with the jingle bells. Oooh! 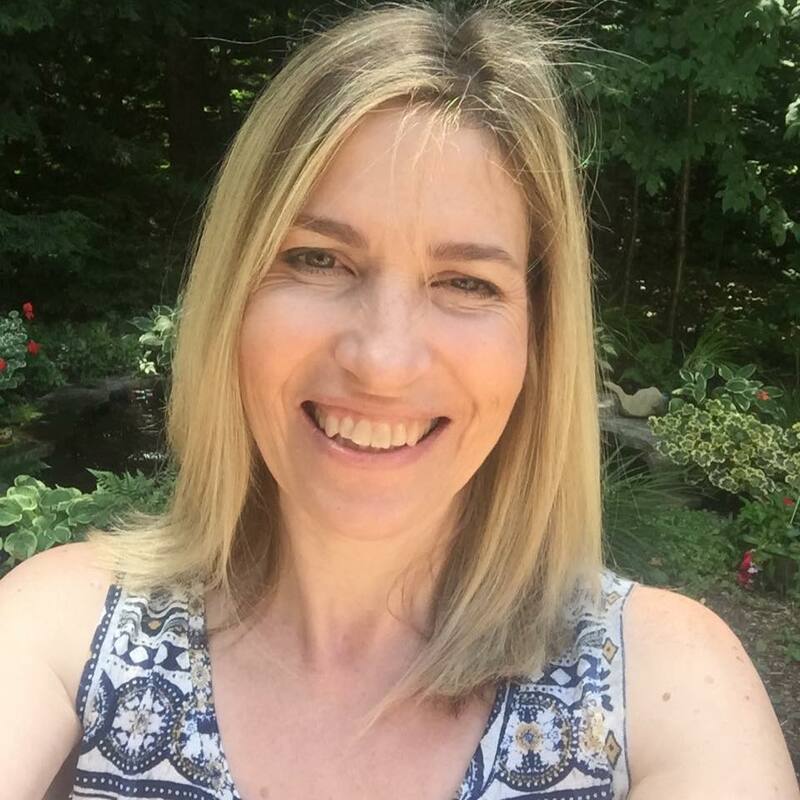 Love your rainbow tag, Tracey!!! Such awesome inspiration today! LOVE!!! This is one of my favorite things, I love making Tags I wait for this all year! Love all the inspiration! Awesome tags of magical snowy themed wonder!!!!! More pretty tags! Love the first tag with the long shape! So cool... sweet images on the other tags. Tracey, your circle tag is lovely. Such pretty colors. 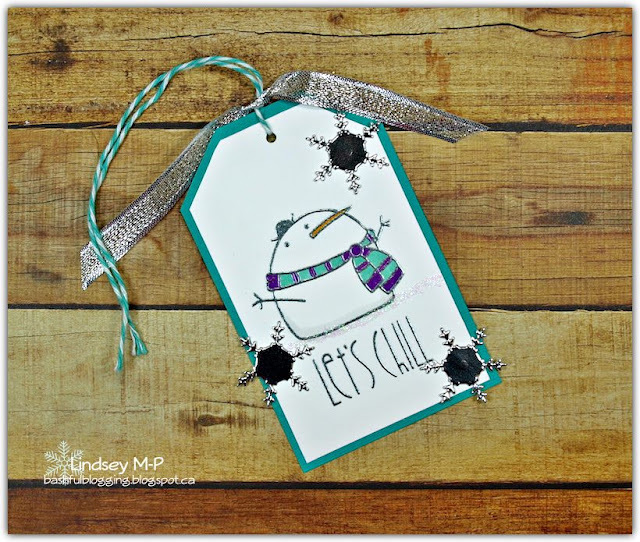 Sensational snowflake tags happening here! 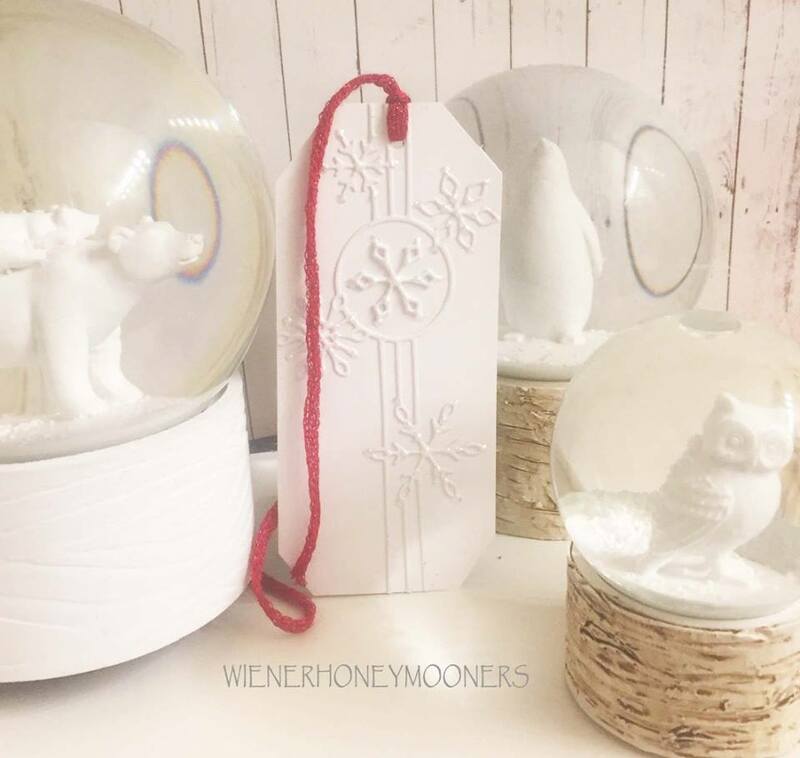 Be they as singles or as part of wintry wonderlands, they're all simply lovely and delightfully inspiring! Wow! I'm inspired by the great and beautiful use of soft colors and fronm all total white tags! Really elegant!!! Gorgeous tags!!! So many beautiful tags today! My favorite is your tag!! So so pretty! Beautiful tag, Tracey!!! Love the blended colors!! More wonderful tags. Tracey, love your rainbow tag. Loving all the snowflakes,a nd the super-cute snowmen. Your tag is beautiful, Tracey. More beautiful tags, hard to pic a favorite! Beautiful tags--every single one! Can't really even pick a favorite today--just love all the snowflakes! Yet another day of wonderful tags. Love the colors on your ornament tag. More great tags! 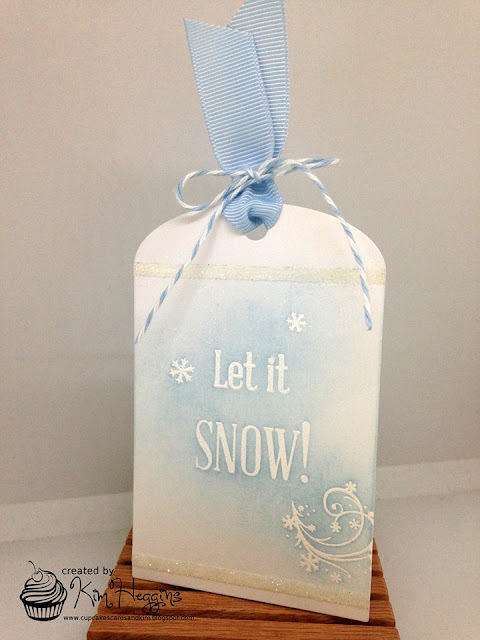 Always like seeing the stamps used and the creative details, such as putting snow on top of the sentiment. I loved today's "snow" theme, Tracey. I was raised in MN but have lived in NV for 30+ years, so I miss the snow this time of year. I love your colorful ornament and everyone did such an awesome job. Thanks again for all you're doing to make this such a special and inspiring event. Everyone did a wonderful job on their tags. I'm in love with Michele's and I was actually there when she created it. Such awesome and inspiring tags today. I really like Chriss's penguin tag. 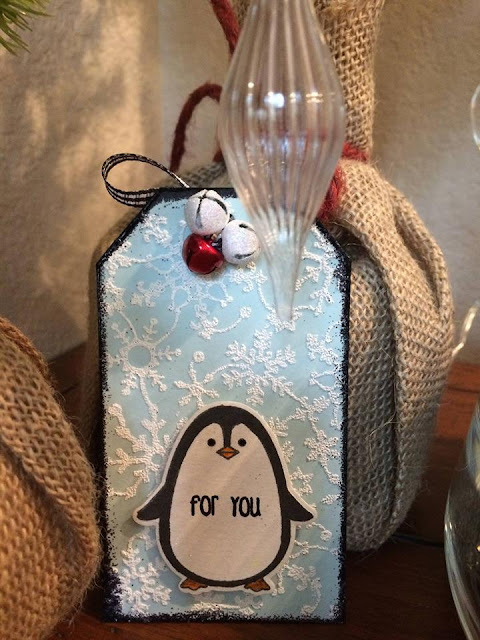 Had fun in my crafty room making penguin tags today...My inspiration was Chriss's tag. These tags are all so lovely, going from elegant monochrome in the first tag to bright and cherry in the last. Great inspiration. 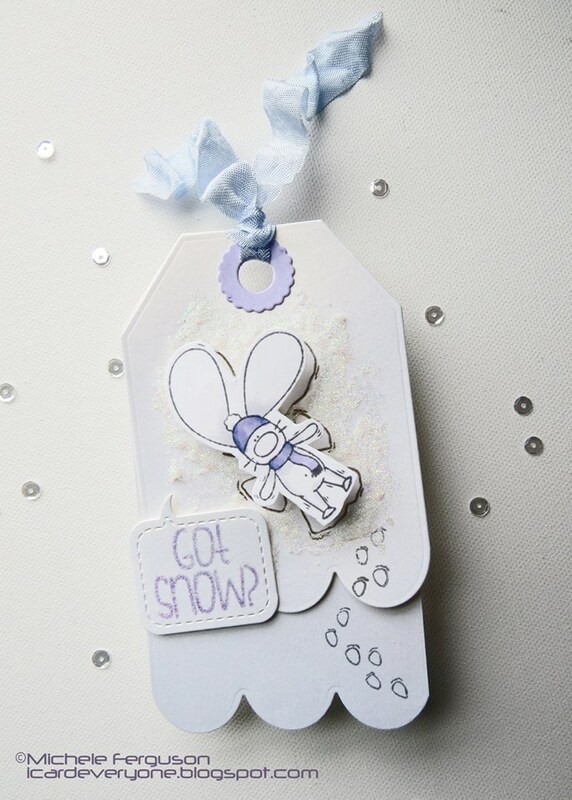 I am loving the blue, silver and white tags by Ardyth, Kim and Carol. Elegant and simple... and gorgeous! Fabulous tags. 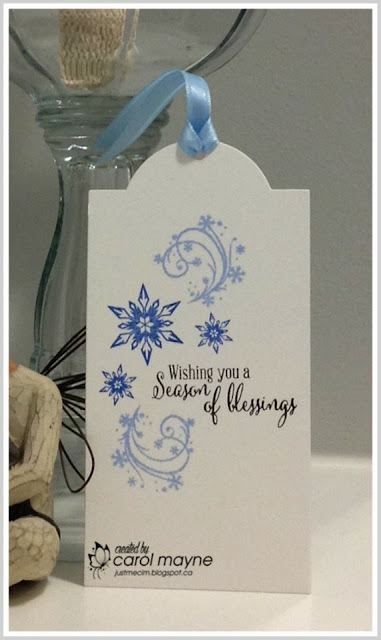 I like Carol's blessing tag and your colorful snowflake ornament tag. Wonderful variety of tags. Gorgeous rainbow tag! Oh wow! This is a wonderful collection of tags - so many I want to CASE! So many great tags today! I love the blended rainbow on Tracey's snowflake tag! So inspired by the snowmen tags ... love the blue, silver and white combination of colors and textures and layers! Loved seeing everyone's works of art. i love the snowman and the little dog at the mailbox! Adorable. Beautiful ink blending on your tag and I love your choice of snowflakes! Such a pretty tag, Tracey! I'm inspired by the cute little scenes on the tags! All the tags today seem to have a whimsical feel - I love it! Each one is a wintry delight! Love love love! Great inspiration! Beautiful tags! Right off the bat the tag by Ardyth Percy-Robb inspired me. I love the different size of it, the soft muted colors, that silver and to top it off those little bells! I love everything about this tag. Thanks to everyone for sharing with us. Oh my, in love with today's post full of so many beautiful tags and so much inspiration! I spy a lot of things I'd love to try. Thanks for another day fun inspirations! So cute and pretty and I love yours! I love how colorful your pretty tag is Tracey! Another great day of inspiration Tracey. All beautiful tags. Oh wow! So much inspiration in today's post! I love all of the snowflakes! And Michele's little bunny making a snow angel is totally adorable! And Stephanie's little wintery raccoon scene is so super cute!!! such awesome inspiration... it has made me start yanking out my tag dies, etc and start working on this years tags. 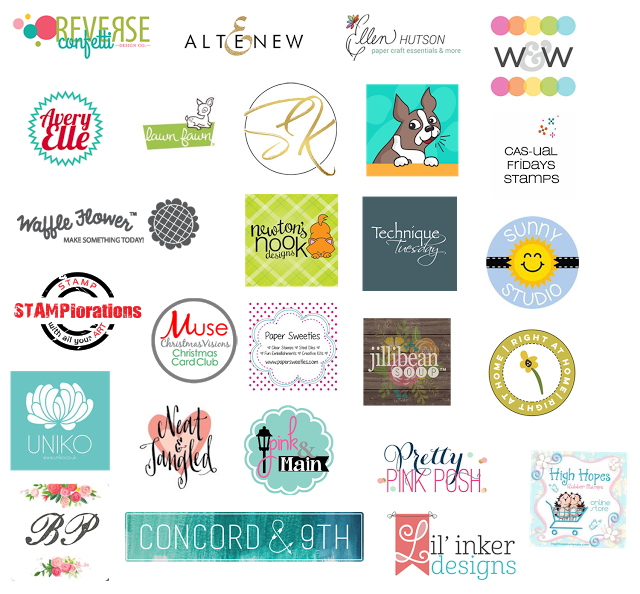 Thank you so much for this great blog hop.. I love the little raccoon tag by Stephanie. It's such a great scene. Fun, fabulous and I love cute snowman, totally adorable! Great hop ! And Tracey, your colorful tag is such a delight ! Classic. Rectangular. There's definitely a white-on-white tag in my future. What a wonderful array of beautiful tags today! Your rainbow colored tag is SWEET! It is definitely beginning to look like Christmas! 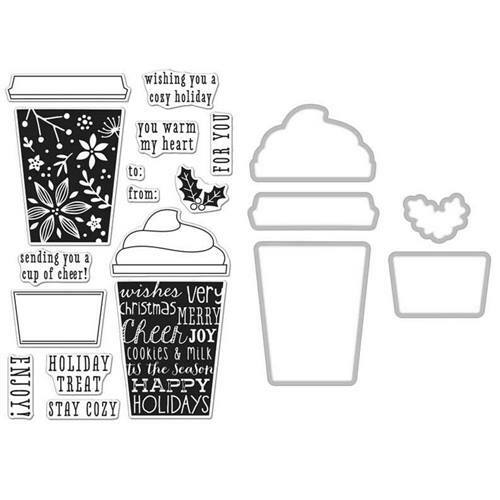 So many fun designs! The white on white tag is awesome! And I loooove the rainbow one you did!! Lovely tags, everyone! 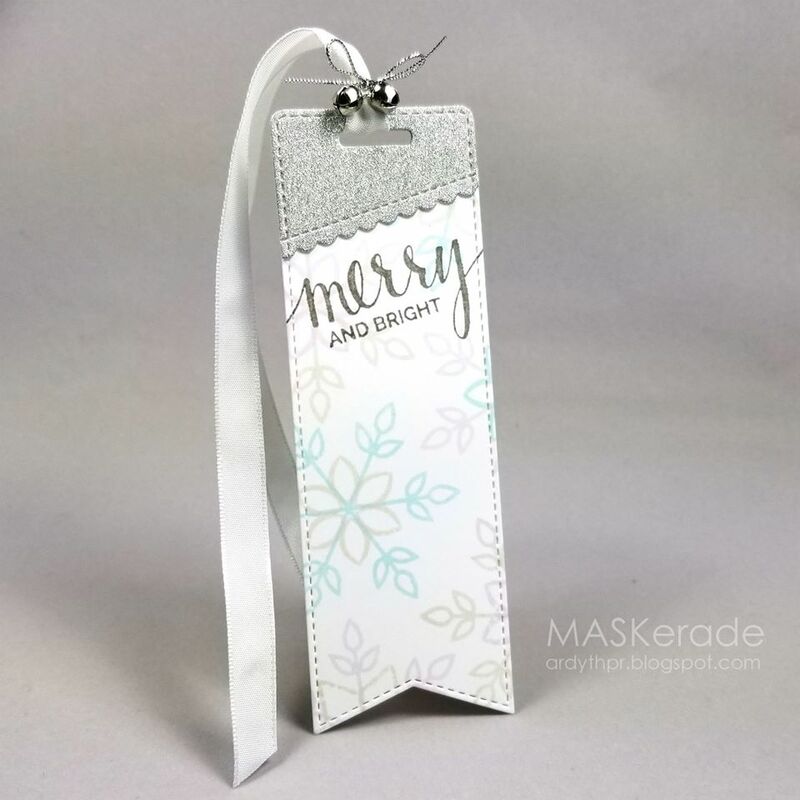 Tracey, your pretty ornament tag is wonderful! A great and varied collection of tags today. Love your ornament tag too! Love all the snowflake inspirations. Great tags! I'm partial to all the cute snowmen! 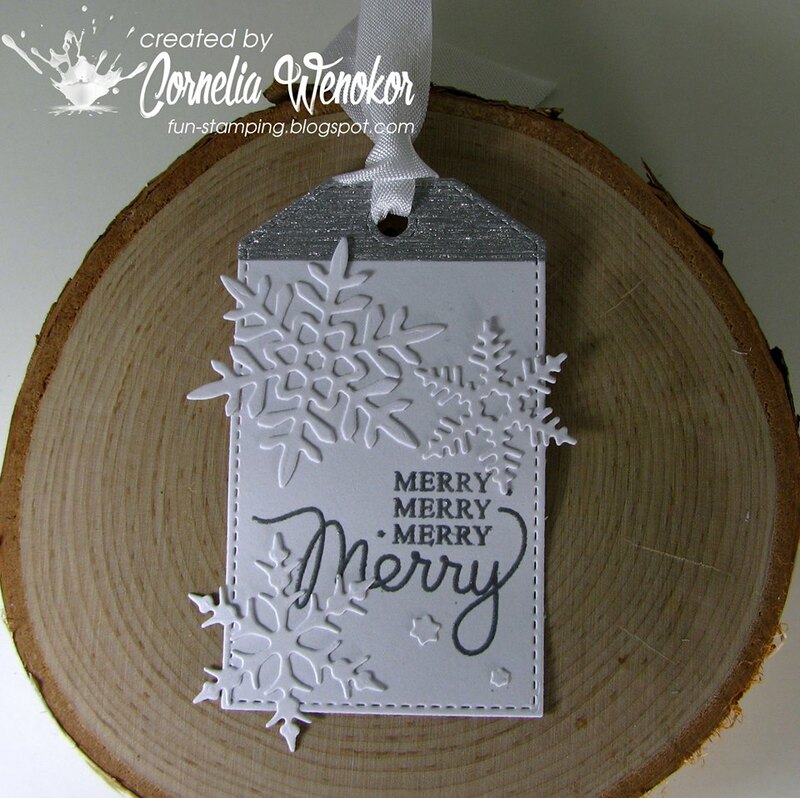 And your ornament tag is gorgeous with that color combo! You inspired me again today on day 15 Tracey! I was inspired by the colorful background you created and the way you stamped the sentiment in black ink. It's bold and gorgeous! I really like your designs! Defiantly pin for ideas, thanks. So much inspiration today! I scrolled through these several tags taking in all the holiday fun! 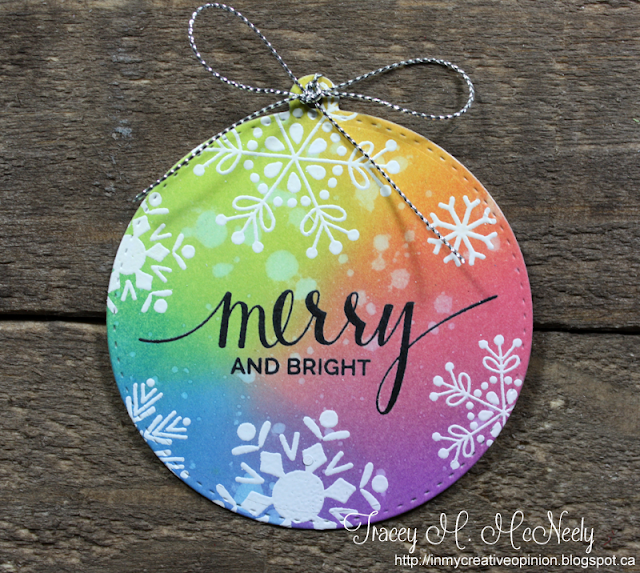 Love your wonderful tag, Tracey--great festive colors! I chose Cornelia's tag as my inspiration for today! I loved the white on white with a touch of silver! 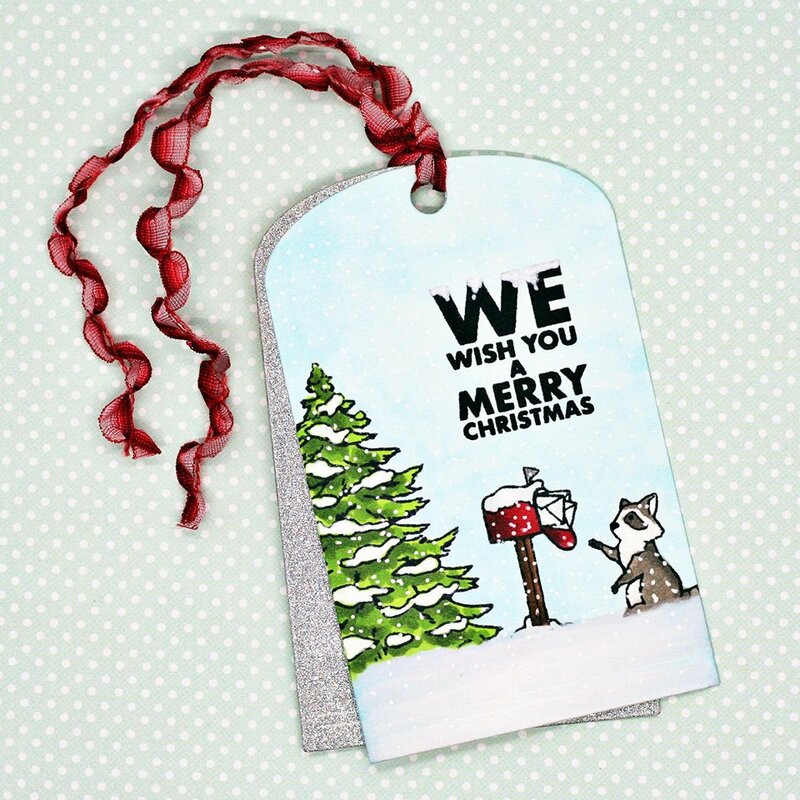 Your bauble tag is so beautiful! Beautiful tags! Your tag is my favorite! I am so inspired by Tracey's distressed ornament. It is just too stunning for words! 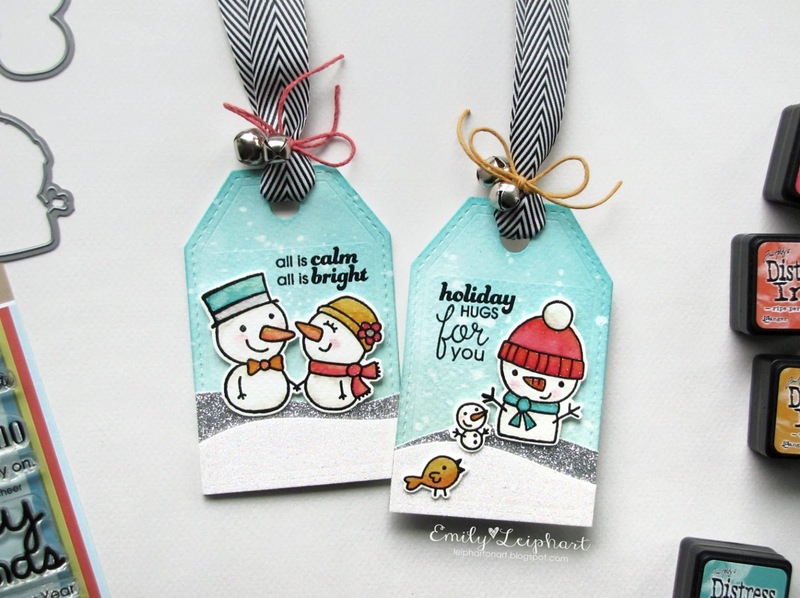 Love Emily’s adorable snowman tags. Creating a sweet little scene on such a small area has got me itching to try this myself. the "let´s chill" snowman made me smile! love it! Oh I love the pretty rainbow colors on the ornament Tracey! Wonderful hop day! All so beautiful but kimberly's beautiful white tag is my fave! Stephanie's little raccoon is so stinkin' cute! It's so sweet and perfect. Very beautiful tags today. Everything from cute to elegant. And I find your colorful background very inspiring! Love how the snowflakes pop against it! The white on white Tag by Kimberly W. is so striking! I love the soft blue on the one by Kim H. and I LOVE the colorful Tag by Tracey M. Thanks so much for the inspiration! I chose Kimberly's white on white as my inspiration but before I was finished it turned out more like Cornelia's white and silver. LOL!! Both great tags! wow, amazing tags, I love a lot of white!